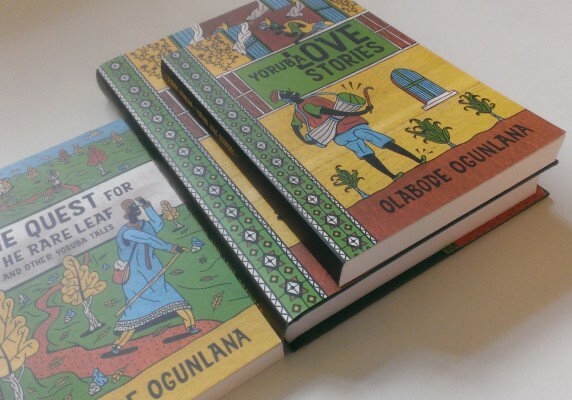 After a long career in Insurance, a return to art school coupled with a masters degree earning a distinction at Buckingham University, Olabode Ogunlana turned his knack for proverbial story telling into fiction writing. 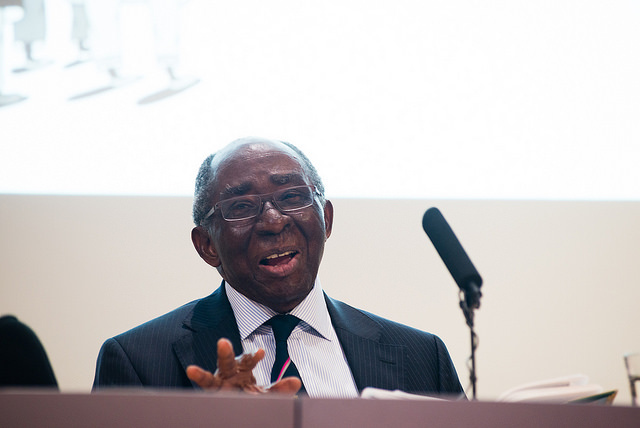 Over a year and half part of which included the period in which he went on a postgraduate masters course at Buckingham University he had an evolving conversation with academics as well as ourselves about translating his thesis into short stories, for international publishing. 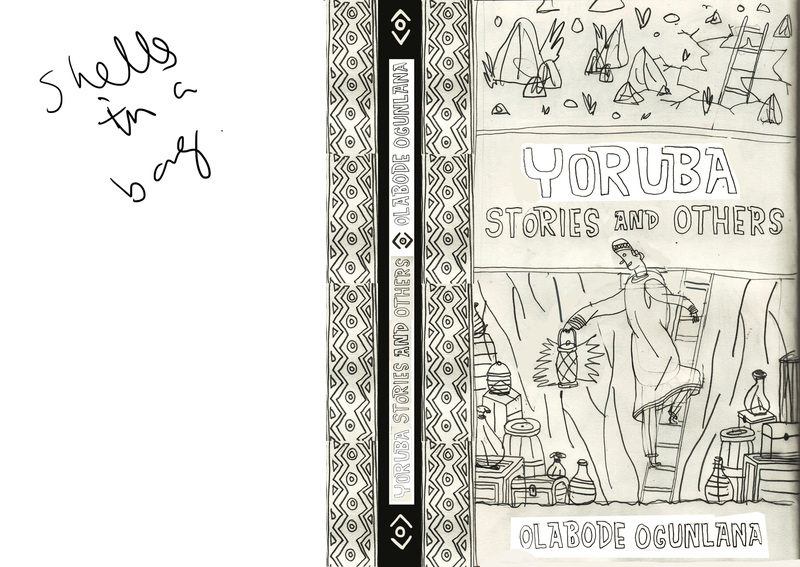 The concept was to produce books of short stories which would act as a useful resource for an international audience interested in Yoruba or Yoruba inspired narratives, to gain the author’s perspective about everything from the settings of proverbial syntax in Yoruba language, to historical geography specific antecedents and sub-cultures that inform contemporary trends in parts of South-Western Nigeria. We spent about a year and half looking for publishers. In the summer of 2013 at the Royal Africa Society’s Africa Writes literary festival we met with Nigel Watt, publishing editor at Books of Africa. 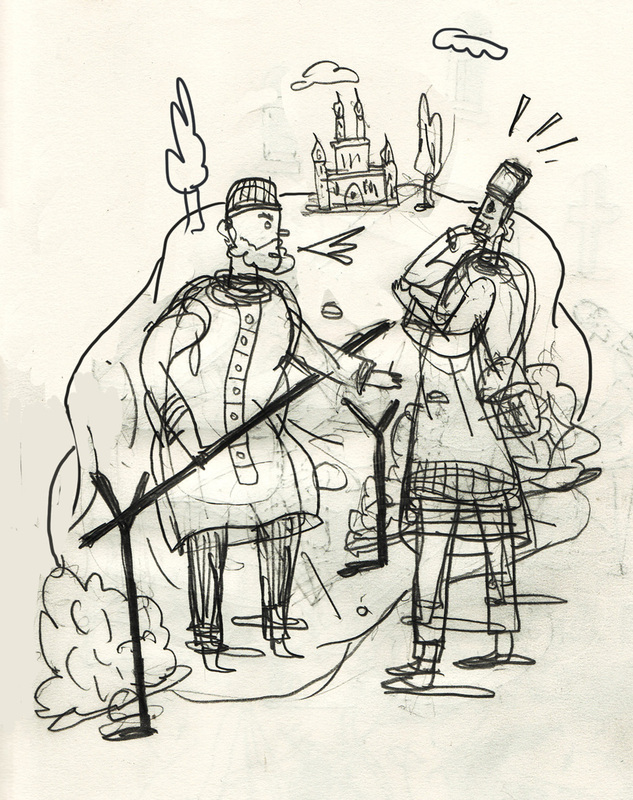 At this point we had taken an unusual perhaps risky step of developing illustrated visual concepts for four – Love, Romance, Myth and Legends – story themes that we hoped would help us interest and persuade publishers of the merit in the narratives. Prior to meeting with Nigel Watts of Books of Africa the creative team of designers, Editor and illustrator – Angela Lyons, Leo Cooper, and Phil Wrigglesworth worked with Ayodeji Alaka and Olabode Ogunlana to break down story-making in terms of situational context for every plot across all sixteen stories. The team set about interpreting narratives, mocking up colour palettes, artwork area dimensions and deciding on file format requirements. 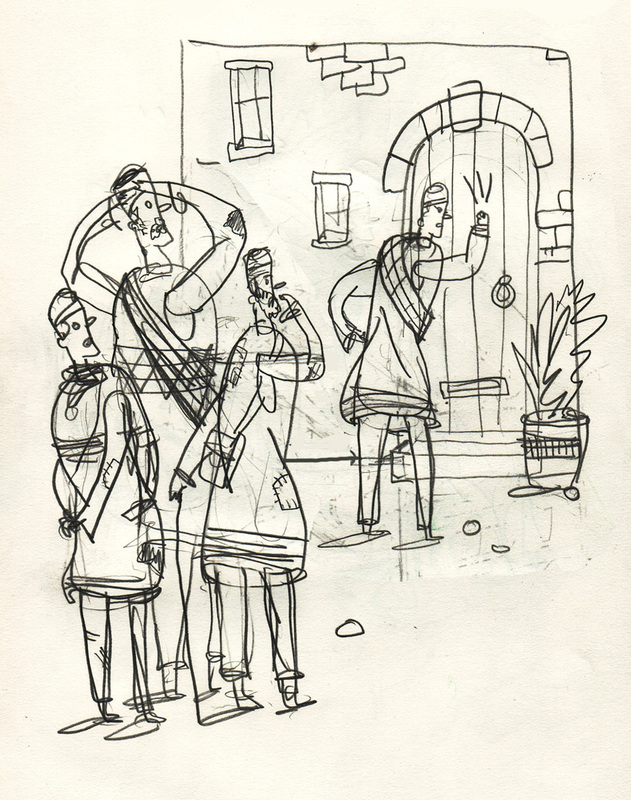 Illustrator Phil Wrigglesworth had to visually sum up the theme of every story with thumbnails without visualizing content literally. Whilst we waited for completed artwork from Phil Wrigglesworth, Leo Cooper started to set up a master file for the book, as well as paragraph and character styles and a baseline grid. He produced an empty page plan and began to map out each section of the book. In the meantime Olabode Ogunlana was having the stories editorially reviewed by Stephen Williams, Dele Meiji Fatunla, editor at Royal Africa Society which meant Leo Cooper was waiting on the final proofs of the stories to come back we had to use unedited versions of the stories as place holder text until we had the final signed off versions so. Even then there was multiple editorial reviews by Books of Africa, as a result we had to prune original idea for four books to two, alter stories and page layouts throughout the design process. Following a series multiple editorial reviews and meetings between colleagues at Books of Africa and the author we were delighted that Books of Africa supported the project. Dele Meiji Fatunla a writer and Ade Solanke a stage scriptwriter as well as other creatives reviewed the book as a reading experience, with advise for amendments. Generally it came across, form their responses, as a well written, visually expressive and realized piece of work – in terms of visual style, place-making and scenic illustrations. 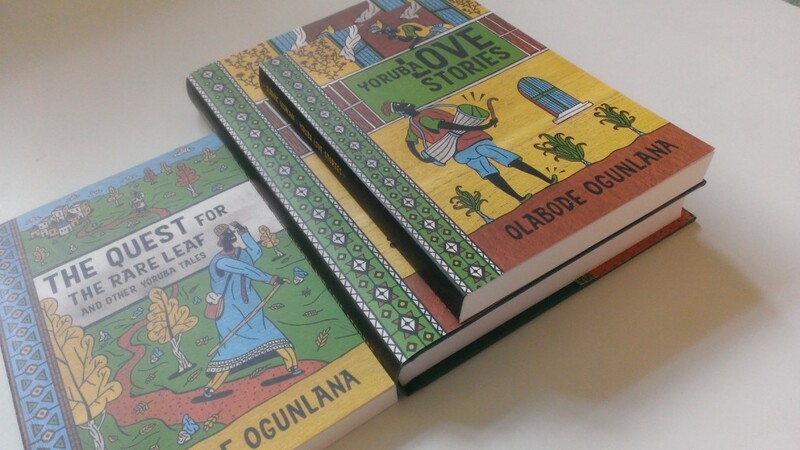 We developed two soft back books – Yoruba Love Stories and The Quest for The Rare Leaf and Other Yoruba Tales. 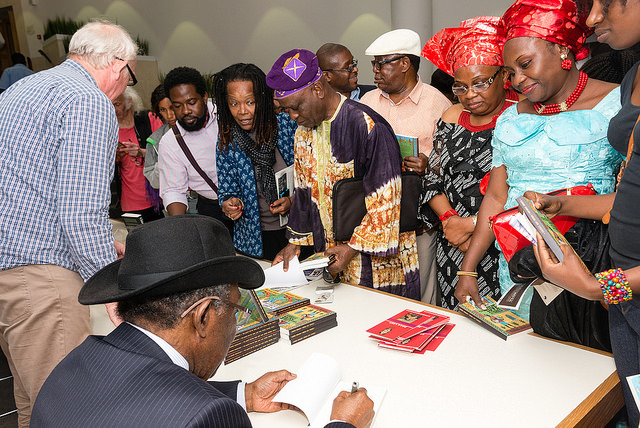 A Lagos launch took place July 28 2014 at the Metropolitan Club Victoria Island Lagos and a London Launch, on Africa Writes 2014’s platform, took place on July 13 2014 at the British Library, Kings Cross. Both soft-back books and a hard back version, with all stories integrated, are retailing on-line internationally and at bookshops within the UK.